Village Council elections are presently being held across the country and both political parties are fielding slates in the respective rural communities. While the Village Council Elections are not supposed to be along party lines, they often do. In the southern village of Independence on Sunday, a few hundred residents turned out to vote. Contesting the elections are well known personalities, Tony and Elizabeth Zabaneh, as well as their son Emilio – on the People’s United Party slate. But the prominent Zabaneh family was unsuccessful and the P.U.P. lost its stronghold in that village. In nearby Santa Cruz, the U.D.P. slate also won. 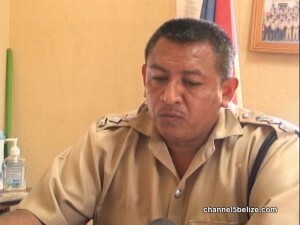 From a law enforcement perspective, the Intermediate Southern Formation of the Belize Police Department has been busy and will remain occupied with keeping the peace for the remainder of the elections. News Five spoke with Assistant Superintendent Reymundo Reyes earlier today.